More Nigerians are lending their voices to the recent conferment of Nigeria’s highest national honour, GCFR on the presumed winner of the June 12th 1993 presidential election, Moshood Abiola. 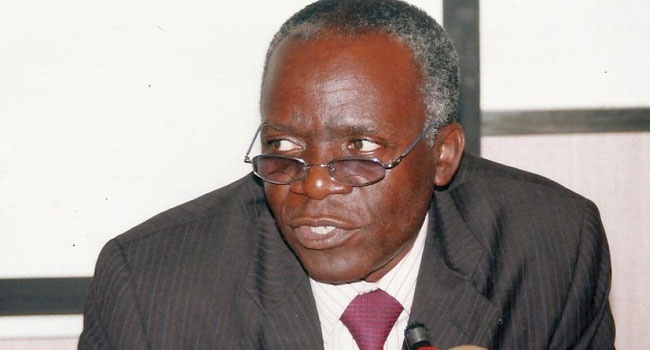 Senior Advocate of Nigeria (SAN), Femi Falana, says President Buhari is constitutionally empowered to confer national honours on deserving Nigerians, dead or alive. Falana said this while reacting to the statement made by former Chief Justice of Nigeria, Alfa Belgore, who has described as illegal the conferment of Nigeria’s highest national honour, GCFR on Abiola. He, however, said the ex-CJN did not refer to any section of the National Honours Act or any other law that has been violated by the president. “With profound respect to the Honourable Justice Alfa Belgore, the National Honours Act has not prohibited or restricted the powers of the president to confer national honours on deserving Nigerian citizens, dead or alive. "But paragraph 3 thereof has given the president the unqualified discretion ‘to dispense with the requirement of paragraph 2 in such manner as may be specified in the direction.